We are always looking for "bang for the buck" when it comes to our gear. What we have will make you sound great at a price you can live with. 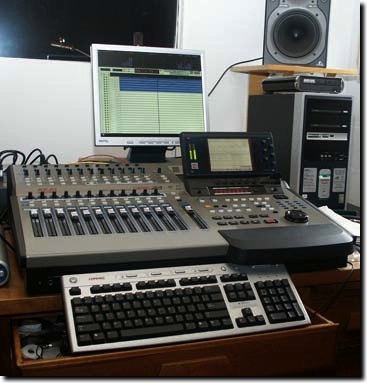 A LIST OF SOME MANUFACTURERS THAT YOU WILL FIND AT THROUGH THE CEDARS MUSIC PRODUCTIONS. Accu-cable, Akai Professional, AKG, Allen & Heath, Alesis, Altos, APC, American Audio, Apex, Apple, ART, Audio-Technica, Audix, Behringer, BLUE, Bose, Brother, CAD, Chauvet, Compaq, Creative Labs, dbx, Digiflex, E-MU, Electro-voice, EWI Cables, Fender, FMR Audio, Fostex, Freistat, Furman, Gallien-Krueger, Gator, Golden Age Project, Guild, Iomega, Heil Sound, Hewlett-Packard, JBL Professional, JVC, KEL Audio, Konig & Meyer, LGE, Littlelite, Mackie, Mad Dog Media, Maxtor, MIDAS, Middle Atlantic, MXL, NAD, NEC, Numark, Peavey, Pioneer, Plextor, QSC, QPS, Quik-Lok, Radial, Rapco, Raxess, Rode, Seagate, Sennheiser, Shure, SKB, SM Pro Audio, Sony, Studio Projects, TC Electronic, Technics, Tripp-Lite, Turbosound, VOX, Western Digital, Yamaha, Yorkville, ZOOM.